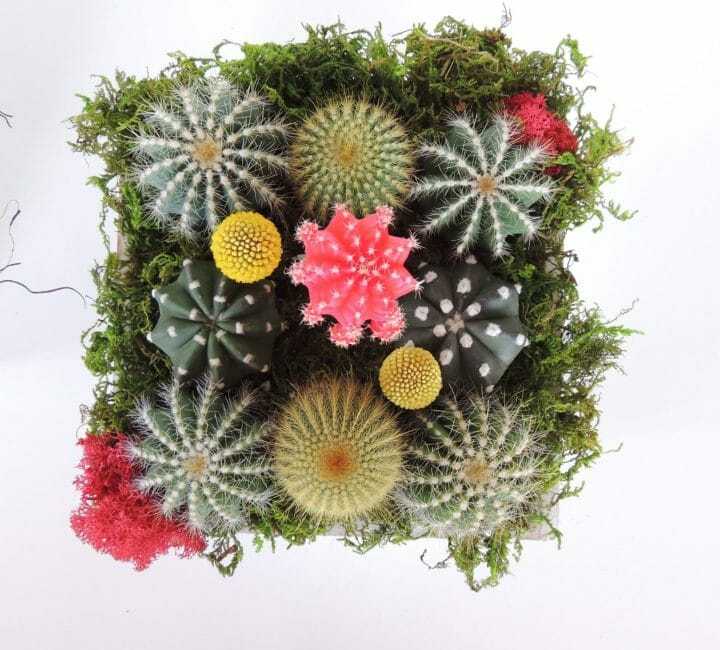 Created in a wooden box this centerpiece has a variety of cactus including a colorful grafted cactus and is accented with colorful moss. This arrangement can be displayed indoors or outside. This is a great way to say “thinking of you” or “thank you”!